Base unit and worktop made of MDF panels with AutoPaint waterproof varnish. Doors equipped with a soft close system. 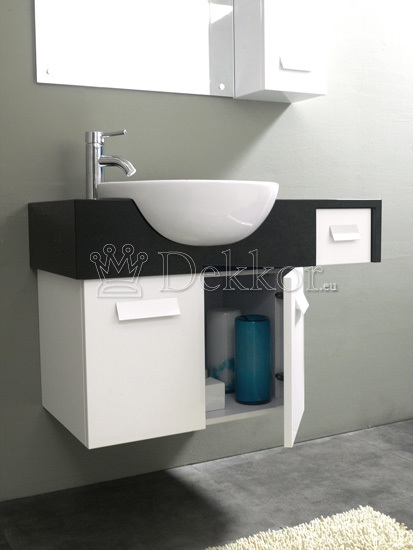 Rounded ceramic washbasin with pop-up no overflow basin plughole; tap excluded; 1 tap hole. Pre-drilled mirror made from tempered glass. The unit is fully made of MDF with a AutoPaint gloss finish to provide durability in wet conditions. A multi layer steps finish is applied to prevent peeling, cracking, fading in elevated humidity levels. The unit uses frame type construction to conceal joints between MDF panels and possess double side walls. This ensures stability and unsurpassed durability for many years to come. The worktop is also made of MDF panel in black colour of the AutoPaint varnish, the underneath surface is protected by white veneer and transparent varnish. All doors equipped with a soft close system with stainless steel handles.. 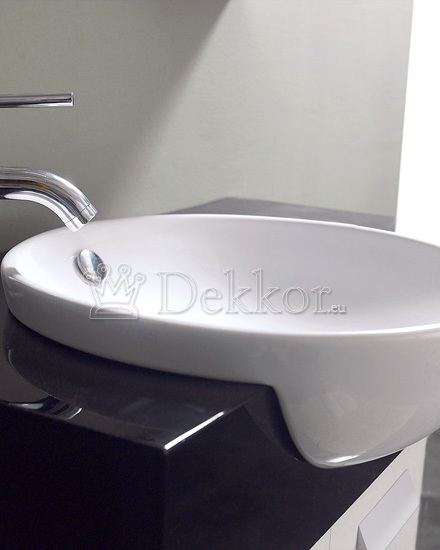 The round white ceramic washbasin with pop-up no overflow basin plughole with chrome finishing. 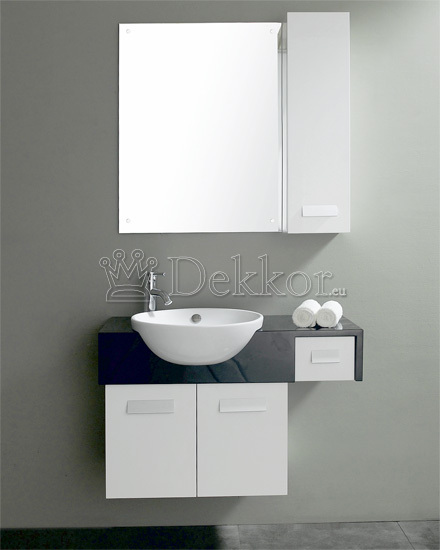 The mirror specifically manufactured for high condensation bathrooms with all fixings and stainless steel caps.